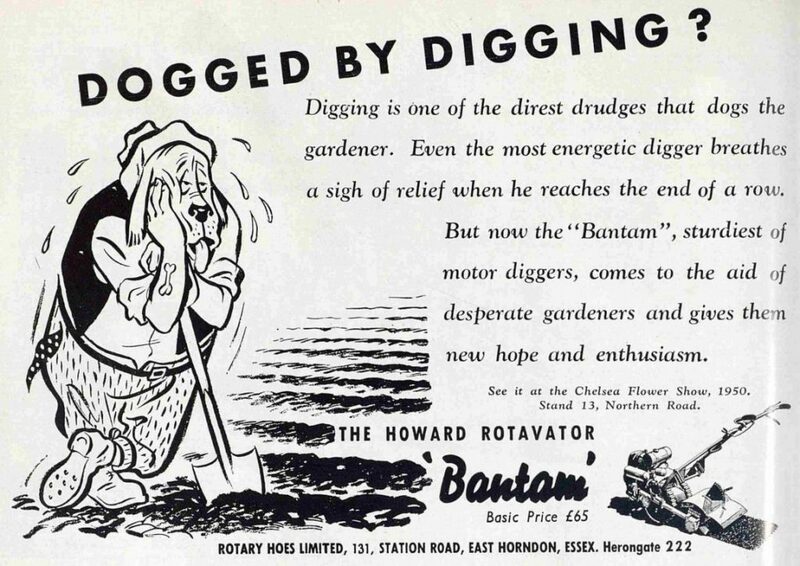 Humour can capture the attention of the prospective customer far easier than any serious advertising might. 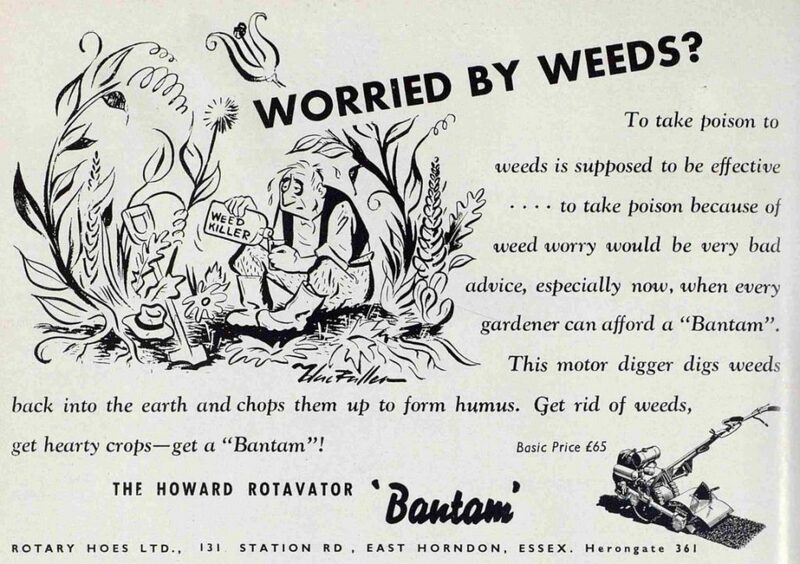 All from 1950 are the following four adverts for the Howard Rotavator ‘Bantam’. 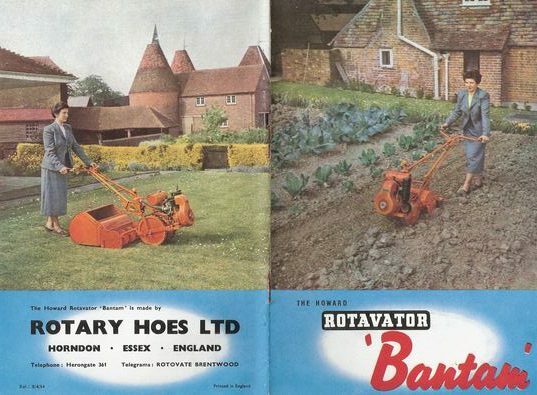 Each is carefully crafted to highlight the difficulties of gardening that the Bantam can overcome: Digging, weeding and labour saving. 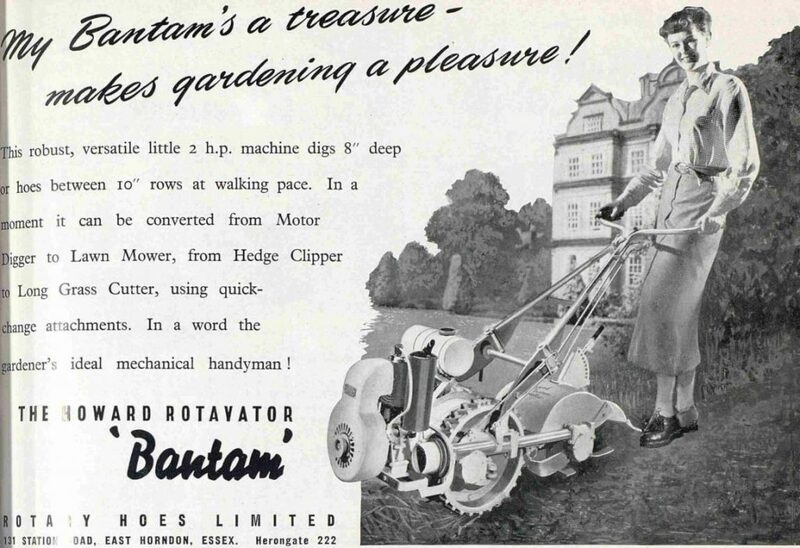 The fourth advert proves that an oily machine can be a great fashion accessory for the owner outside their 16thC Elizabethan mansion. 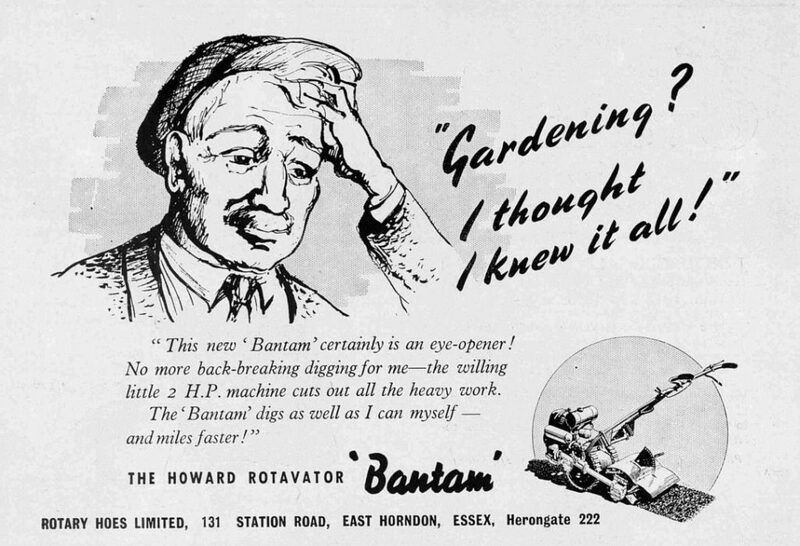 There are more Howard images in the VHGMC Howard gallery pages.